It’s been a busy autumn, with all sorts of projects unfolding. In Peace and Remembrance, funded by HLF, we’ve been working with BCU, local schools and communities, to explore how soldiers’ families commemorated the end of the First World War. 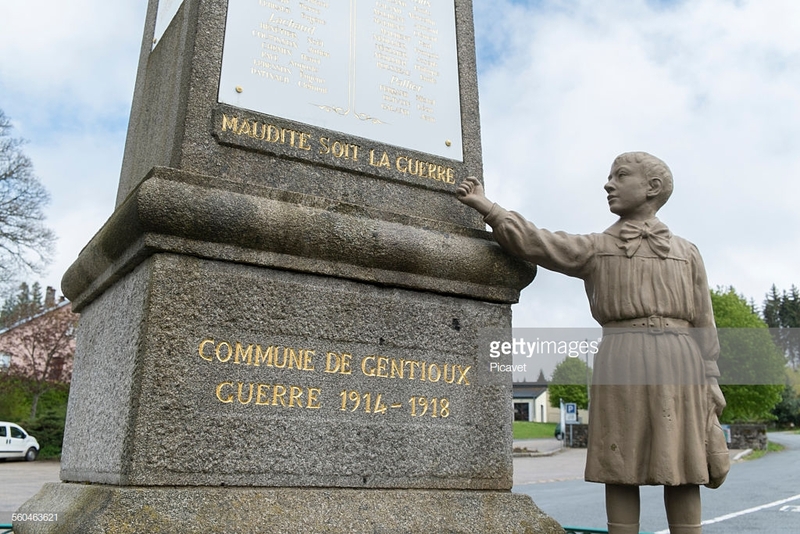 Did other communities explore less traditional commemorations like these? What kind of memorials might have been considered? Watch our film to see here. We’ll be collaborating with Sawiyan, a women’s community group in Sparkbrook, to celebrate secret green oases in the city. With BCC funding from Culture on Our Doorstep, we’re looking forward to gathering memories of gardens here and faraway, and sharing skills of planting and growing in the urban environment. 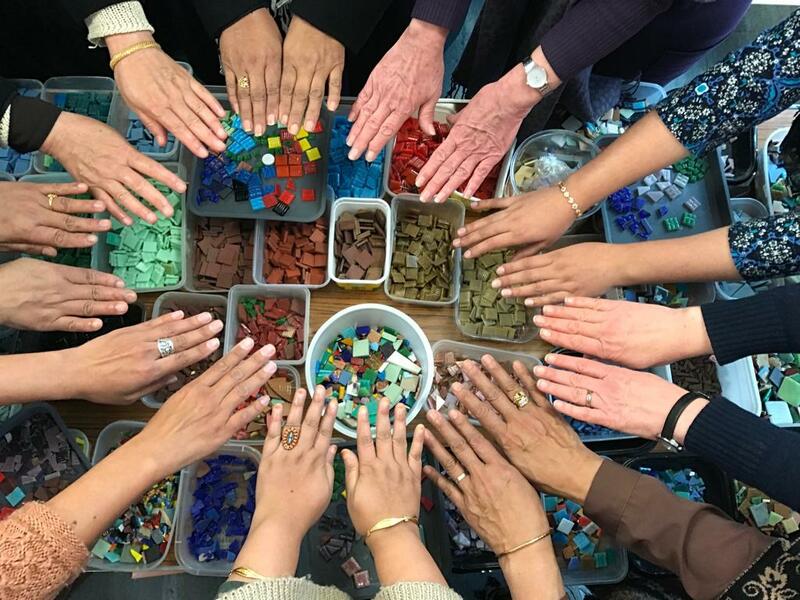 We’ll be working with mosaicist and artist Claire Cotterill – can’t wait to see what delights she will create with participants. It’s been a clip-clopping adventure working in partnership with Roundhouse Birmingham on our BCC Next Generation-funded project, Hooves and Tales. Stories of horses in the city’s past and present, sounds and smells (yes, exactly as you’d imagine). Click here to watch the fabulous audio-visual story we made with pupils from three schools (Marywood Centre (City of Birmingham School), St George’s CE Primary and The Pines) and lots more about the project. Secret City Arts will be working with local people to uncover and retell Sutton’s treasure trove of stories in Holy Trinity Parish Church and the wider community around it. In this HLF-funded project, together we’ll be making films, recording audio work, writing and making a multi-trail map, bringing the community’s history to life. What a pleasure discovering, writing, and making films about Handsworth’s extraordinary past and present with Secret City Arts’ 60 young apprentices, pupils at Rookery School. In this ambitious project, From Soho House to Soho Road, we explored skills, technology and ambitions in Handsworth, past, present and future. Here in Handsworth we dream of becoming astronauts, artists, doctors, engineers, famous youtubers, video designers and vets. We intend to help and care for people so they are loved and happy. We intend to cure illnesses and to stop the homeless population from increasing. We want to develop new technologies to help disabled people move faster, and software to make the world a better place. We need determination, resilience, respect, confidence and courage. 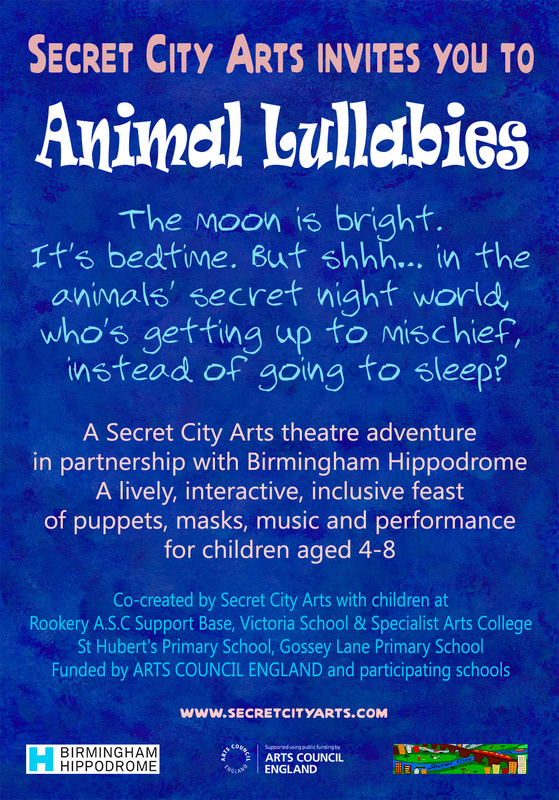 We’re very excited to be working with partners Birmingham Hippodrome, making a theatre piece for young children based on Mandy’s poetry book, Animal Lullabies. With Arts Council funding, Pyn Stockman is directing, Mandy writing and violinist Ann Jones is our musical director. 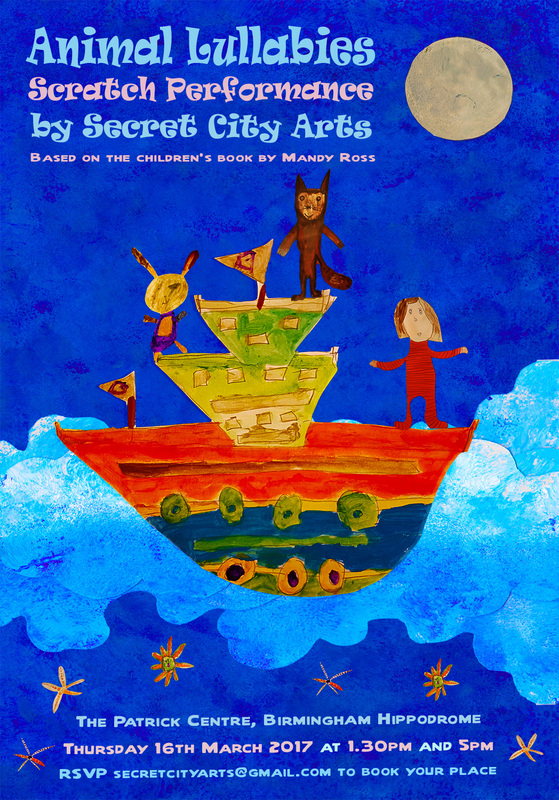 We’ve been working with children from four partner schools to gather ideas and inspiration for a story of moonlit mischief and night adventures through till sunrise. More detail here as the project unfolds. We are very sad to report the recent death of our friend, colleague and designer, Heather Blackham. You can see more about Heather’s work with Secret City Arts here. Secret City Arts has been successful in two recent funding applications, and we’re looking forward to working in new directions. We have been awarded funding from Voices of War to work with Paul Long and Nick Webster of BCU to research the impact of our WW1 project From Handsworth to Flanders Field (see below) and are looking forward to a fruitful collaboration exploring the use of archive film and our own creative approach to history and heritage work in schools. 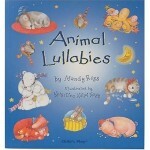 We’re also delighted to report we’ve been awarded Arts Council funding to translate Mandy’s children’s poetry book, Animal Lullabies, into a theatre piece for very young children. 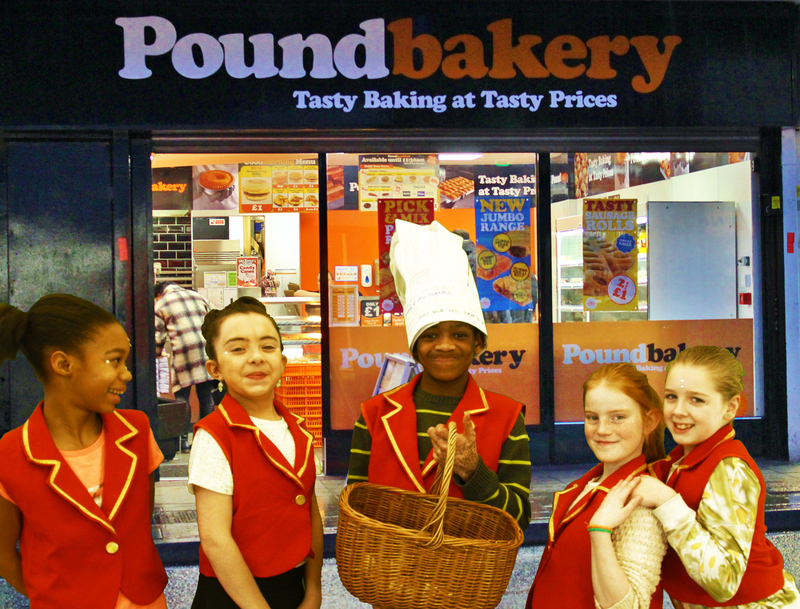 We’ll be working in collaboration with the Birmingham Hippodrome and with schools in Birmingham and Sandwell to develop children’s creative ideas into a high-quality professional touring performance from autumn 2016 onwards. Watch this space! We were delighted to receive funding from HLF for a project with year 6 pupils at Rookery Primary School. We worked with them from November 2014-July 2015. You can read more about the journey of the project here. The outcomes were rich and varied a book, 4 films and a live performance. You can watch one of our films below or visit our project page to watch them all. 02. Big Gun Week from Secret City on Vimeo. We’re exploring all things owl in our Story Owls project with older adults in Attwood Green and Lee Bank, Edgbaston, as part of the Big Hoot. Real live owls from Hagley Falconry Centre swooped around the community rooms at Chiswick House, Latimer Gardens and St Luke’s, bringing hoots of delight from local residents. As a Culture on Your Doorstep project, we’re writing memories, stories and poems about owls to feather up our very own Owlet which will be part of the Big Hoot’s citywide trail this summer. Watch this space! 3. The Story Of The Mound from Secret City on Vimeo. We’ll be showing our project films, and presenting a copy of our Guide to Life to the library. And we’ll be delighted to welcome Dr Chris Upton, local historian, and Rachel MacGregor will be showing Treasures of the Archive. And there will of course by project cake. We’re celebrating the opening of the new Library of Birmingham with a Culture on Your Doorstep project bringing archive materials out into the community in Kingstanding and Erdington. Have a look at our work so far by clicking on our project page here. The Bristol Street Cinema – Birmingham from Secret City on Vimeo. Our HLF project in and around Woodview, Edgbaston, is revealing a rich medley of hidden histories and stories. We have just completed our current project Roots and Seeds funded by BCC Next Generation Fund. One of the many fantastic outcomes was this film created in collaboration with Martin MacNally of Reel Access and Marc Reck of Reckorder. Roots & Seeds from Secret City on Vimeo. 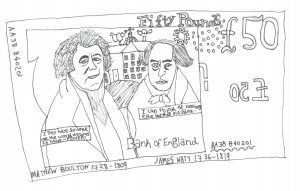 We’ve just completed our project taking inspiration from the Bull Ring Markets – working with three community groups to create textiles, audio, songs, performance and Art on Your Shopping List. Find out more about this rich, multi-layered project here. There’s been a fabulous response to our recent project, The Secret Life of Birds. 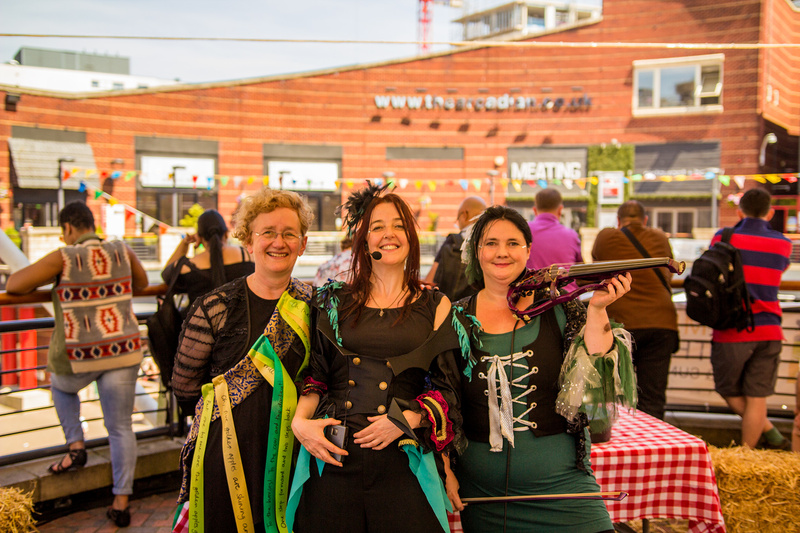 Over 250 people took part in our creative activities on the Arts Bus, perched for 7 days in different spots around the city, with funding from Birmingham City Council. Visit our project pages for more information. In February 2011 The Secret City Team investigated and made a creative response to The Walls and Water of Brindley Place as part of the Culture on Your Doorstep programme. This is the final cut of the living story and sound work curated by Pyn Stockman and edited by Marc Reck. With original music by Rich Batsford. You can also see the animation and explore some of the original stories and writing by visiting our project page.